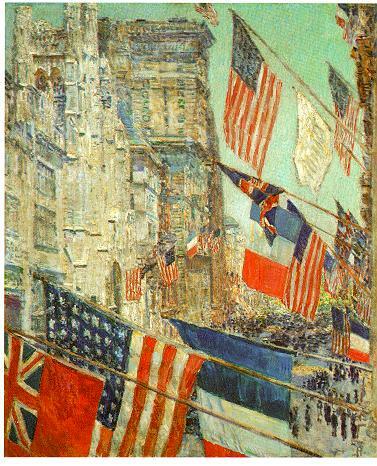 To learn more about Hassam’s flag paintings, go here. To view a 1932 film of Hassam at work, go here. In addition to choosing Dirty Money, Stark’s latest, as a Top Five pick, I reviewed it admiringly and at greater length here. 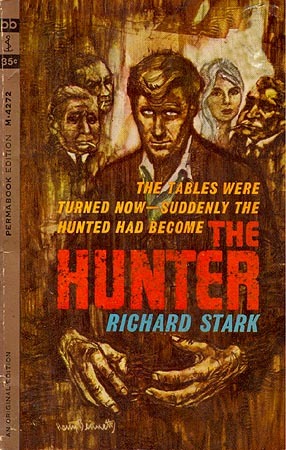 In that piece I pointed out that most of the early Parker novels are out of print, and that many of them fetch alarmingly high prices on the used-book market. You probably haven’t ever noticed them. But they’ve noticed you. They notice everything. That’s their job. Sitting quietly in a nondescript car outside a bank making note of the tellers’ work habits, the positions of the security guards. Lagging a few car lengths behind the Brinks truck on its daily rounds. Surreptitiously jiggling the handle of an unmarked service door at the racetrack. They’re thieves. Heisters, to be precise. They’re pros, and Parker is far and away the best of them. If you’re planning a job, you want him in. Tough, smart, hardworking, and relentlessly focused on his trade, he is the heister’s heister, the robber’s robber, the heavy’s heavy. You don’t want to cross him, and you don’t want to get in his way, because he’ll stop at nothing to get what he’s after. Parker, the ruthless antihero of Richard Stark’s eponymous mystery novels, is one of the most unforgettable characters in hardboiled noir. Lauded by critics for his taut realism, unapologetic amorality, and razor-sharp prose-style–and adored by fans who turn each intoxicating page with increasing urgency–Stark is a master of crime writing, his books as influential as any in the genre. The University of Chicago Press has embarked on a project to return the early volumes of this series to print for a new generation of readers to discover–and become addicted to. You can’t get down to business much faster than that.